With sun-ripened tomatoes & mild olives. 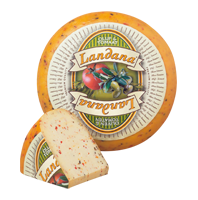 Landana OLIVES & TOMATOES is a Dutch cheese with a delicious Mediterranean flavor, with sun-ripened tomatoes and green olives. Ideal in cold and warm dishes. 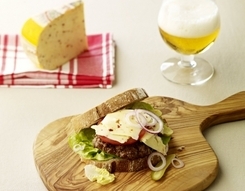 Great in a grilled cheese sandwich, among other things!